If the tropical climate doesn’t scare you off, Malaysia can be a spectacular destination for cycling tour. This little tropical country not only has plentiful of natural wonders, but a lot more to offer for the nature enthusiasts. Cycling across the country is a unique way to explore everything this beautiful country has to offer. Well recognized for its adventure and eco tourism, Malaysia is home to some of the most spectacular unspoiled tropical rainforests in the world. With stretch of well paved roads and a network of rural trails that go past some of the most beautiful landscape in the country, Malaysia is an ideal destination for cycling. 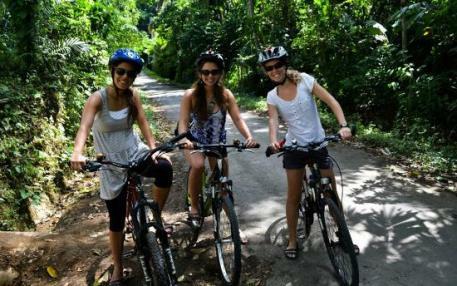 Cyclists will also get the chance to enjoy some of the best snorkeling and diving destinations in the world along with a remarkable collection of sanctuaries, national parks and great diversity of cultural attractions during the cycling tour. 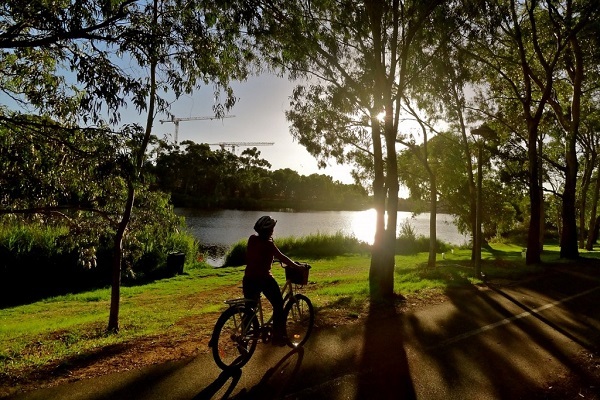 Cycling trails are widely available throughout the country, generally, you can find cycling trails in almost every each of the state in the country. If you enjoy cycling on dirt trails and wish to go extreme, mountain biking tour is just perfect for you. You will normally get into jeep tracks or single track, cross river using wooden bridges or ride down a steep mountain trail, other than to enjoy the excitement, you will also get to enjoy the beautiful scenery of a tropical mountain along the trip. Some cycling tours will bring you to see local cultures by riding through countryside areas and villages. During the tour, you will enjoy the magnificent rural surroundings as well as to taste some of the local foods sell by the street hawkers. For those who are looking for a leisure ride, perhaps joining a city cycling tour can be great. Experience the bustling city life or cycling through and enjoy the well landscaped gardens in the city. This type of cycling trip normally does not require much energy as you ride through on a well paved road and is well preferred for family on vacation or for those who are looking for a weekend getaway. No bicycle? No problem, there are plenty of bike shops around the cities who are ready to offer you a bike that suit to your budget. If you are coming to Malaysia for short vacation and do not wish to own the bike, there are also a lot of bike rental services available. Nevertheless, to avoid hassle, it is best to look for a cycling tour that come with a bike together, but be prepared to pay more for the extra services. No doubt, Malaysia can be explored freely without much danger. However, to ensure a hassle free cycling holiday, it is recommended to look for a cycling tour operator and book with them. Always look for experienced guide who can provide you sound knowledge and able to show you the best cycling routes, perhaps, a little of research may helps a lot in choosing the best tour operator. It is no secret that Malaysia is a country with multi traditions and cultures, hence, not every place welcomes strangers, and especially those come on bike. A professional and experienced guide can helps to avoid such problems and advise you the best possible routes for an enjoyable cycling trip in Malaysia.